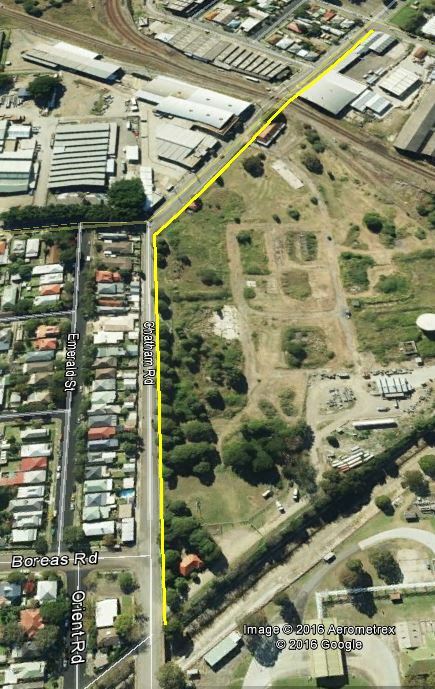 Newcastle Council is currently constructing a new section of cycleway on Jackson St Hamilton North, which is on my regular route of cycling to work. I’m feeling pretty ambivalent about it. 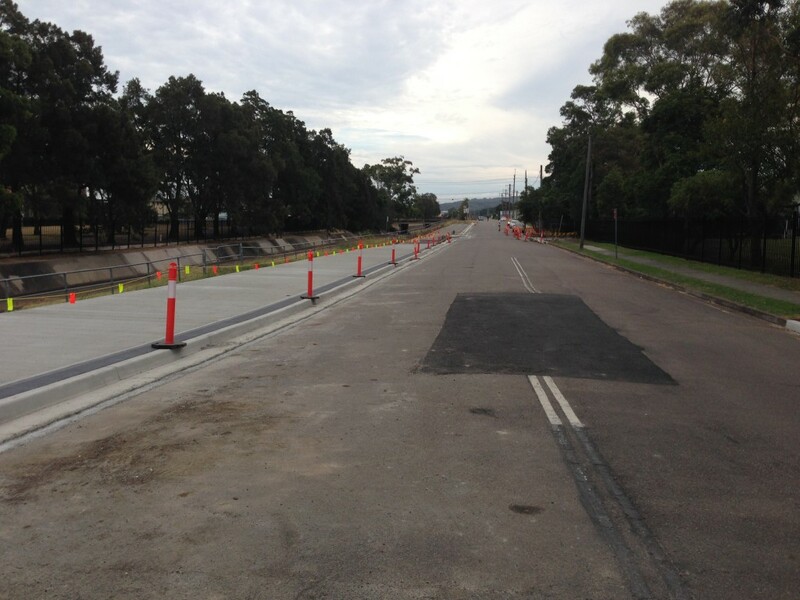 On the one hand I’m pleased to see any money spent on cycleway infrastructure. But on the other hand this project continues a tradition of building cycleways where they are least needed, and by implication not building them where they are needed. Its a similar scenario on Griffiths Road alongside Richardson Park, where last year the council constructed a cycleway along a section of road that already had a wide and rarely occupied verge/cycle lane. And the same scenario on Hobart Rd New Lambton, a year or two ago when a new cycle path was constructed along a section of road with a rarely occupied parking/cycle lane. I’m guessing that the reason why the cycle paths are being built where they’re not really needed is that council has only a limited budget for cycling infrastructure – the places where cycleways are needed are in congested areas, where construction would be difficult and expensive, and the budget isn’t big enough. So instead the only option is to spend the money on smaller, easier projects, which will tend to be in locations where a separate cycle path isn’t really needed. So where is it needed? My regular cycling route from Lambton to Wickham is fairly cycle friendly, so I don’t have much to complain of. The most obvious spot for improvement is Chatham Rd, Clyde St, and the Clyde St railway crossing in Hamilton North. I’d love to see a dedicated cycle path along this stretch. 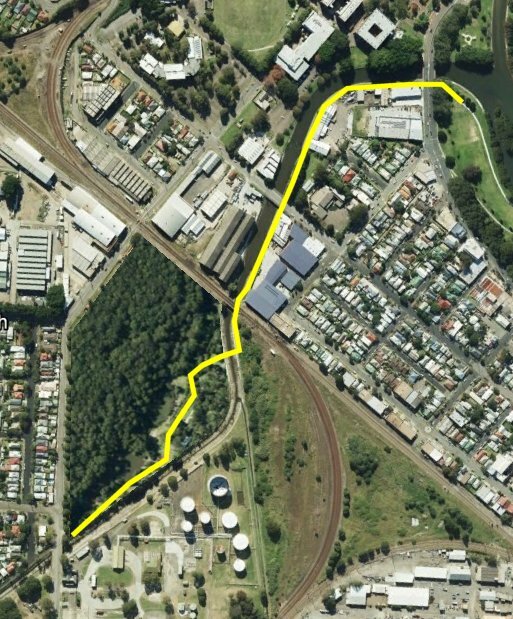 Actually, if I dream big dreams like Mark MacLean, I’d love to see a cycleway built on the following route, after the former gasworks site is remediated and turned into a nature reserve. 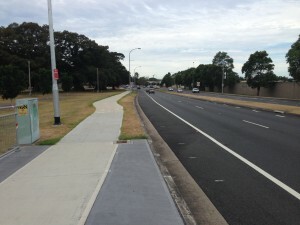 A cycleway here, pretty please? 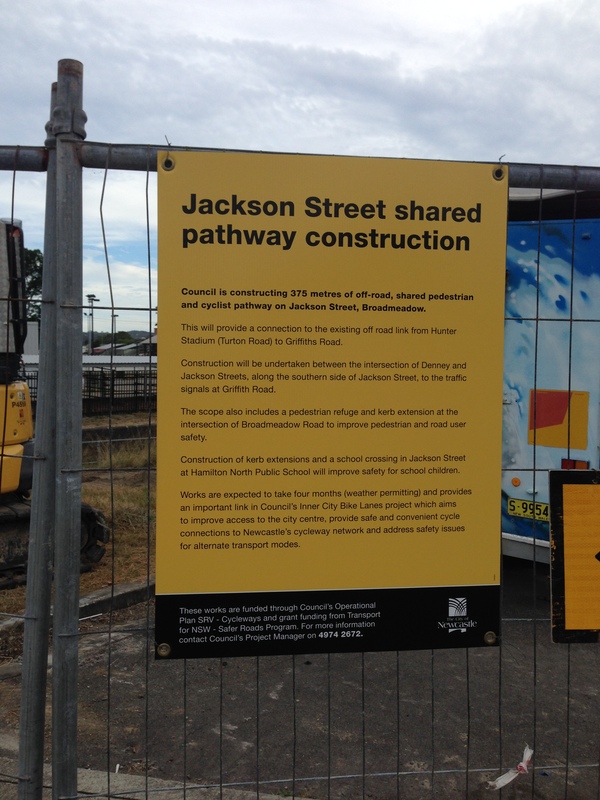 And finally, there is one other thing that makes me less than excited about the new cycleway in Jackson St – and that’s the pace of construction. Jackson Street shared pathway construction. The council’s sign says that constructing 375 metres of cyclist pathway is “expected to take four months”! That works out to an average rate of progress of 3.1 metres per day! 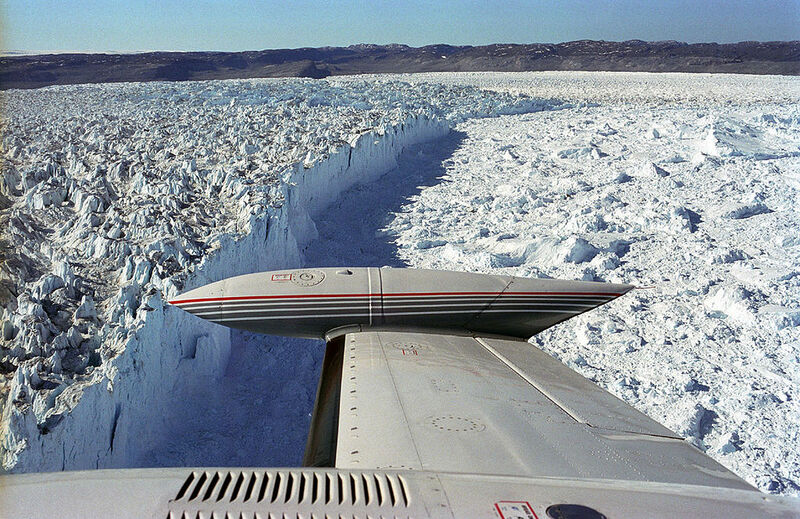 That’s a rate that I was going to describe as “glacial”, but when in the interests of scientific accuracy I looked up how fast glaciers can travel, I found that back in 2014 the Jakobshavn Glacier in Greenland made a new world record when its pace was measured at more than 46 metres per day, which is 15 times faster than the Jackson Street cycleway. I am thus forced to invent a new adjective, and describe the pace of construction as “subinfraglacial”. 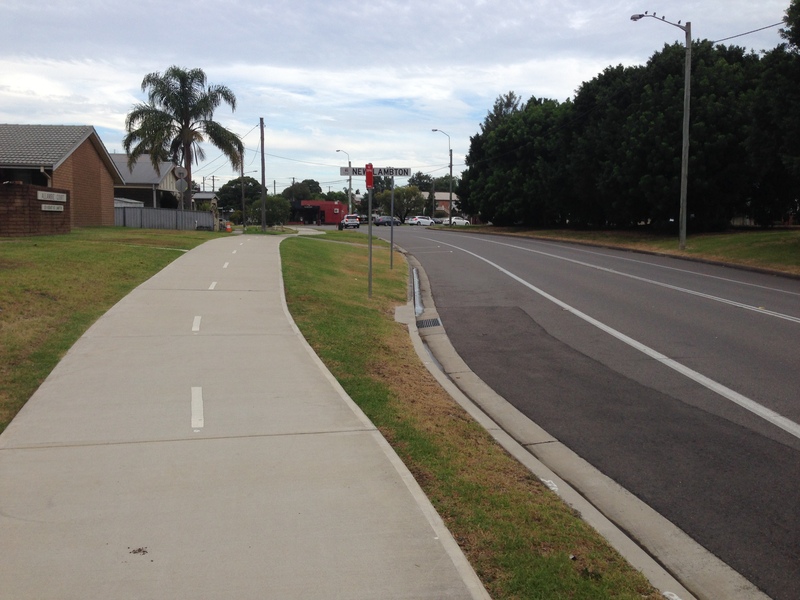 This entry was posted in Cycling, Hamilton North (2292), New Lambton (2305), Numbers by Lachlan Wetherall. Bookmark the permalink. 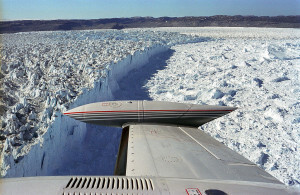 I too have revised my definition of “glacial”!! Looking forward to the day when you can cycle through the wetlands park to Wickham, Lachlan.